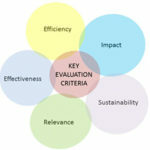 Updating the DAC Evaluation Criteria, Part 3. What should determine our criteria? Updating the DAC Evaluation Criteria, Part 2. Why change the status quo?